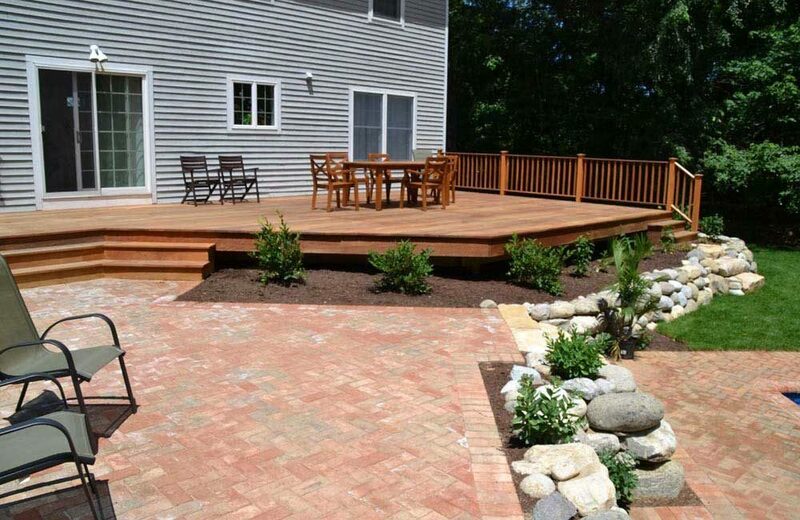 Should I build a wooden deck or a stone patio? Carpentry or masonry? 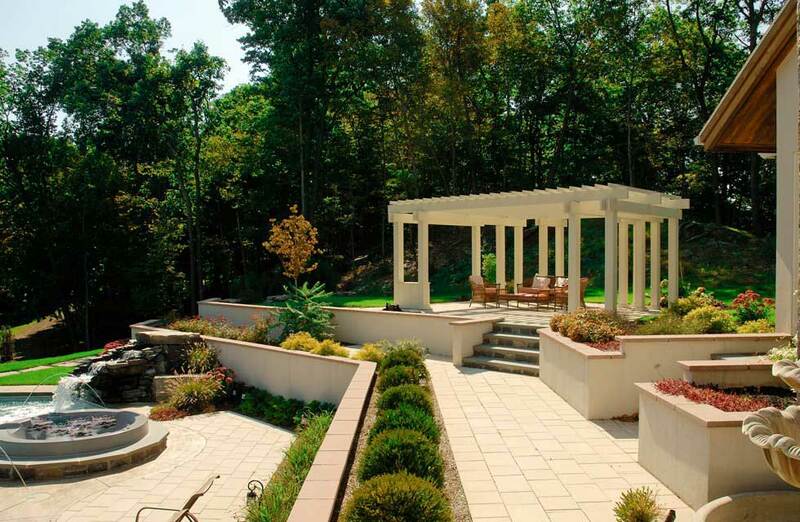 These are most popular and much pondered questions when it comes to landscape design. You have many carpentry and masonry choices when it comes to outdoor walkways and paths, patios, outdoor fireplaces or BBQs, pergolas, outdoor steps, and other exterior design features. The masonry and carpentry choice you make here will dictate many factors; style, color scheme, longevity, maintenance burden and of course, the price point of your project. You can indeed choose to include both stone and wood in your home landscape design. With the proper combination and selection of material for tone and texture, you can achieve almost any look you desire. 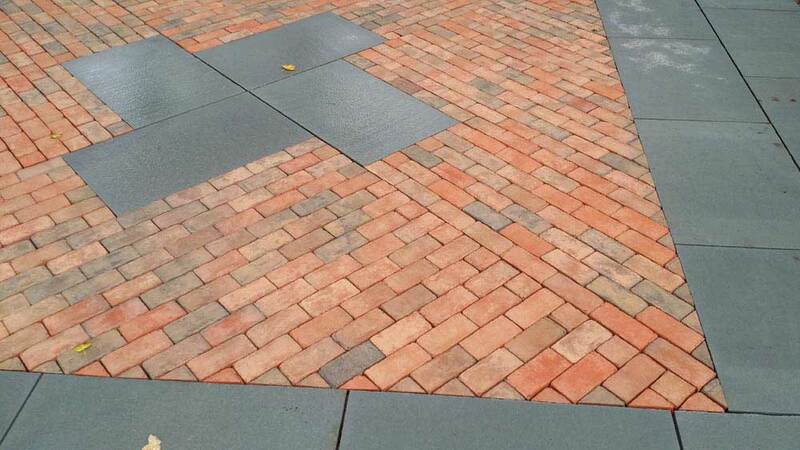 Masonry is very versatile; you see natural stone and man-made paver materials on walkways, patios, outdoor kitchens, built-in BBQs, fire pits, outdoor as well as indoor fireplaces, retaining walls or even a natural stone veneer to dress up the façade of the house ... the possibilities are endless. Redbud’s masons are truly skilled craftsmen and can work in all methods such as brick work, dry-stack walls, poured concrete walls with thin veneer, custom flatwork, tile applications, patios with polymeric sand or mortar joints, etc... and they can just as easily custom cut a radius edge for a pool coping as set 2-ton granite slabs into a rustic staircase. Carpentry is equally prevalent with masonry in landscape construction. Most requested carpentry projects are custom designed decks, pergolas, overhead structures in either natural sustainable hardwoods or engineered wood products. Carpentry is also a popular alternative for outdoor kitchens or as a finishing surround and trim for swim spas. Custom sheds, pool cabanas, and screened rooms or a new dormered front entry are all trendy carpentry elements RedBud can help design and construct. Our carpenters are adept at replacing a French door to building custom cabinetry to a full scale addition to your home. Whether you are interested in timber frame structures or basic cut lumber construction, we can help you achieve your home improvement dreams and suit your architectural style.